The Road to Super Bowl 52 in Minneapolis is officially here! Taking a quick look at all the games slated to kick off the 2017-18 NFL Playoffs throughout Wild Card Weekend. Quarterback Marcus Mariota and the Tennessee Titans (9-7), just one game short of an AFC South title and coming off a win-and-in victory in Week 17, will travel to Kansas City to take on the AFC West champion Chiefs (10-6) to kick off NFL Wild Card weekend. After a strong start to the 2017 NFL season had Chiefs quarterback Alex Smith in the early NFL MVP conversation, the Chiefs seemed to cool down in the second half of the season, losing 6 of 7 games in the middle of the season after winning their first five, and ending on a four-game win streak, to finish the year with 10 wins. The Titans, on the other hand, struggled with injuries early on, most notably with Mariota and a nagging hamstring injury. Saturday afternoon, we’ve got the @Titans (#TitanUp) kicking off #WildCard weekend, heading to Kansas City to take on the @Chiefs (#ChiefsKingdom). Who you got? After a collapse in Super Bowl 51 in Houston, the Atlanta Falcons (10-6) seemingly struggled to overcome that “Super Bowl hangover” in 2017. Touting one of the highest-flying offenses in 2016, the Falcons ranked just 14th in points per game (22.1), and quarterback Matt Ryan cooled off after his MVP campaign in 2016, throwing just 20 touchdowns and 12 interceptions, completing 65.7 percent of his passes. The Los Angeles Rams (11-5) are the opposite. After an uninspiring campaign in 2016, the team brought in Sean McVay to be the new head coach, and the team was an offensive firestorm, leading the league in points per game (29.9), thanks large in part to a stellar season from running back Todd Gurley II, who finished the season with 1,305 yards and 13 touchdowns. The second #WildCard game of the weekend, we’ve got the @RamsNFL (#LARams) at home against the @AtlantaFalcons (#InBrotherhood). Who wins this matchup? Perhaps the most surprising Wild Card matchup of the playoffs kicks off our Sunday action, as the Buffalo Bills (9-7) travel to take on the AFC South champion Jacksonville Jaguars (10-6). Boasting the second-ranked defense in the league, the Jaguars held their opponents to just 15.5 points per game in 2017, second only to the Minnesota Vikings’ 14.8. The Jaguars also relied heavily on the legs of running back Leonard Fournette, as the team finished at the top of the league in rushing yards per game (141.4) and second in rushing touchdowns (18). The Buffalo Bills seemingly snuck their way into the playoffs, thanks to a game-winning touchdown in Week 17 from the Cincinnati Bengals, defeating the Baltimore Ravens. When you look at the statistics, the Bills seem to have no business being in the playoffs, ranking second-to-last in passing yards per game (176.6), 27th in passing touchdowns (16) and 29th in sacks (27). However, the team ranked 6th overall in rushing yards per game (126.1), thanks large in part to running back LeSean McCoy. Sunday action! 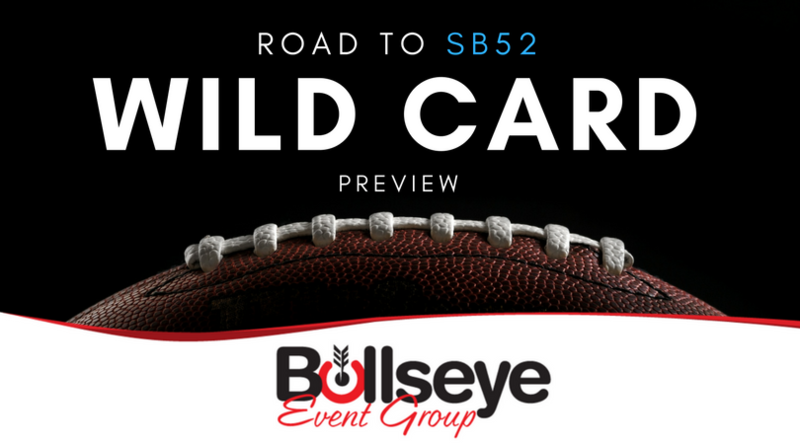 The second round of #WildCard games kicks off with the @BuffaloBills (#GoBills) traveling to Jacksonville to take on the @Jaguars (#Jaguars). Who takes this #AFC showdown? One of the more highly anticipated matchups in the Wild Card round of the NFL Playoffs is the Carolina Panthers (11-5) traveling to New Orleans to take on the NFC South champion Saints (11-5). These teams will face off for the third time this season (second in New Orleans) as both are members of the NFC South, which has a staggering three of its four teams in the playoffs. Despite struggles early in the season, the Panthers offense returned to form, ranking 4th in rushing yards per game (131.4) and 7th in rushing touchdowns (15), thanks to a committee of quarterback Cam Newton and running backs Christian McCaffrey and Jonathan Stewart. The defense was also nothing to balk at, ranking near the top of the league in getting after the opponent’s quarterbacks (3rd – 50 sacks in 2017). The Saints, whom plenty were ready to write off at the beginning of the season, were one of the best teams in the NFL in 2017. The offense, ranked near the top of the league in every statistical category, was a powerhouse, averaging 28 points per game (4th), 261.8 passing yards per game (5th), and had 23 rushing touchdowns on the season (1st). The defense, however, was the game changer for the Saints, thanks large-in-part to a stellar campaign from defensive end Cameron Jordan, who finished the season with 13 sacks, 48 tackles and two forced fumbles. And finally, the final game of #WildCard weekend, the @Panthers (#KeepPounding) head to New Orleans to take on the @Saints (#GoSaints). Who wins this NFC South rematch?